Realistic (copy) 3d model of Cabin showers Radaway Modo New Black Factory. Partitions from the Modo New Black Factory collection perfectly complement the interiors in industrial style. A black lattice on the glass will add an elegant accent to a strict loft. Due to the fact that the grille is made of ceramic paint, it is stable and durable. 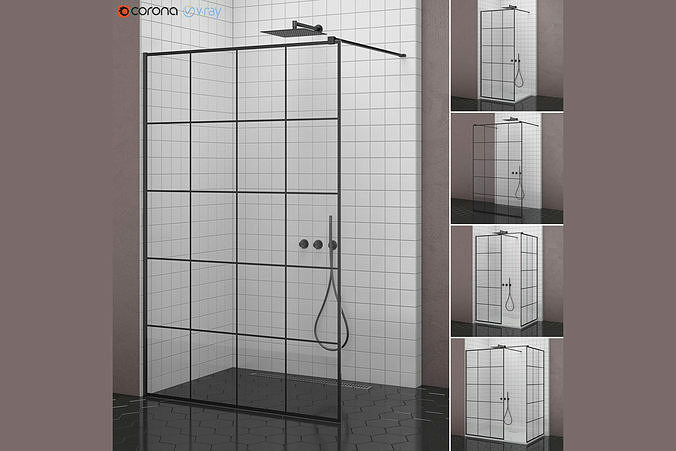 The dimensions of the shower: 1600 * 1000 mm, 1300 * 1000 mm, 1200 * 900 mm, 900 * 900 mm.